As long as it’s dusty and soft, the millennial group will love the hue. This is precisely why the previous year was all about millennial pink‒ a toned-down version of Barbie Pink ‒it’s delicate, it matches basically any colour and it photographs amazingly. 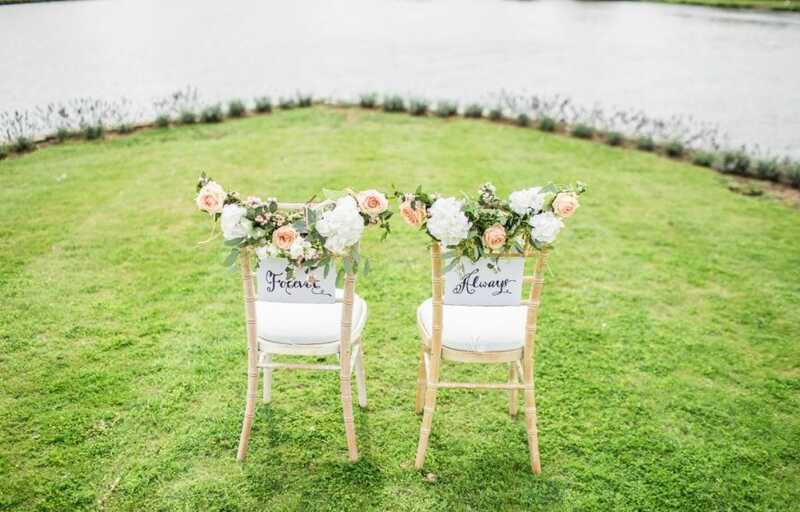 So, if you’re in the midst of planning your nuptials, splashing a little bit of millennial pink here and there will make your big day look like a true fairy tale wedding. From simple decor details, to elegant attire embellishments ‒ you can incorporate millennial pink into your wedding in various ways. One of the benefits of millennial pink is that it looks amazing on every skin tone. This is exactly why you should think about dressing your bridesmaids in millennial pink. 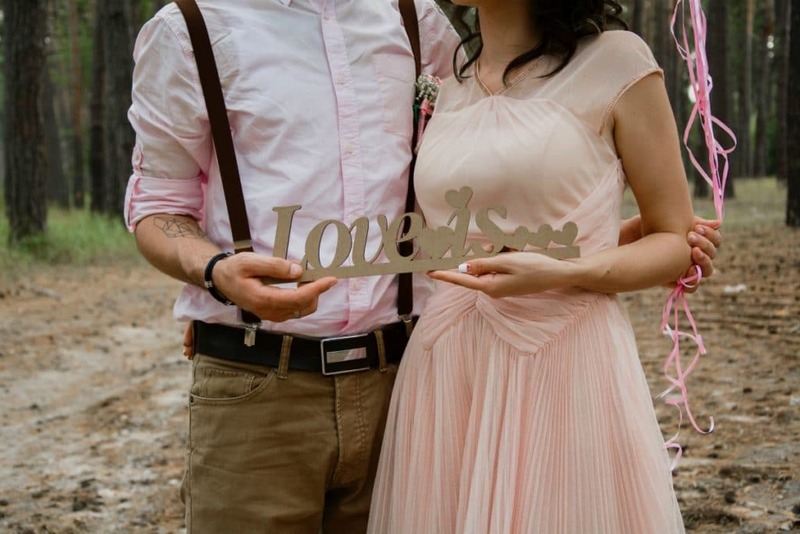 Adding a few millennial pink statement touches to your wedding gown such as the lacing or beading is also a good way to incorporate this shade into your wedding. Think about a pink satin ribbon to wrap around your waist, or pink flowers in your hair, along with a pink manicure. Alternatively, matching a blush pink tulle skirt and a white crop top with romantic wedding shoes will create a true blushing bride look. Just because you’re not going to wear your wedding gown after the wedding, it doesn’t mean you shouldn’t look for shoes that you can actually wear a few more times. Think about millennial pink sandals, pumps or even ballerina flats if you want to pair elegance with comfort. The groom can also combine a few millennial pink touches into his outfit, and wear a pink tie, cufflinks, or maybe a pink shirt. White place cards with a pink font and a few pink touches is all your decor needs to breathe sophistication and style. Think about ordering elegant wedding invitations that feature soft pink hues. Browse through unique eco-friendly wedding favours to complement the entire event, and let your guests remember your big day for years to come by handing them vintage wedding favour seed packets. 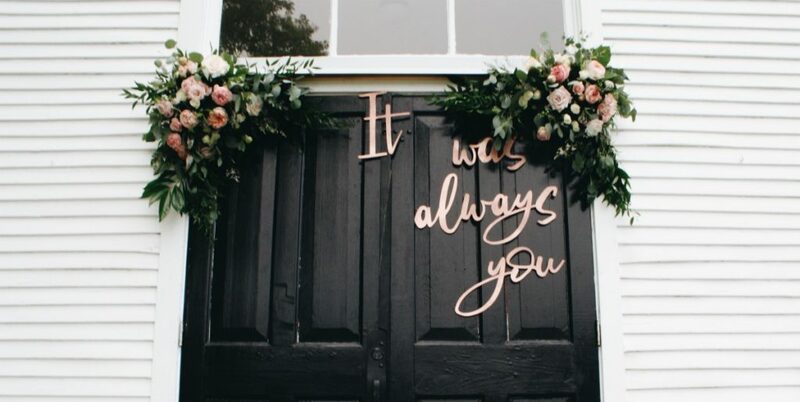 A velvet millennial pink guest book will also add a dose of style and sophistication to the wedding, so think about incorporating it into your wedding as well. Courteous thank you notes are always a nice touch, so consider sending out dusty pink foil-pressed cards with a pretty and modern script after the big day. 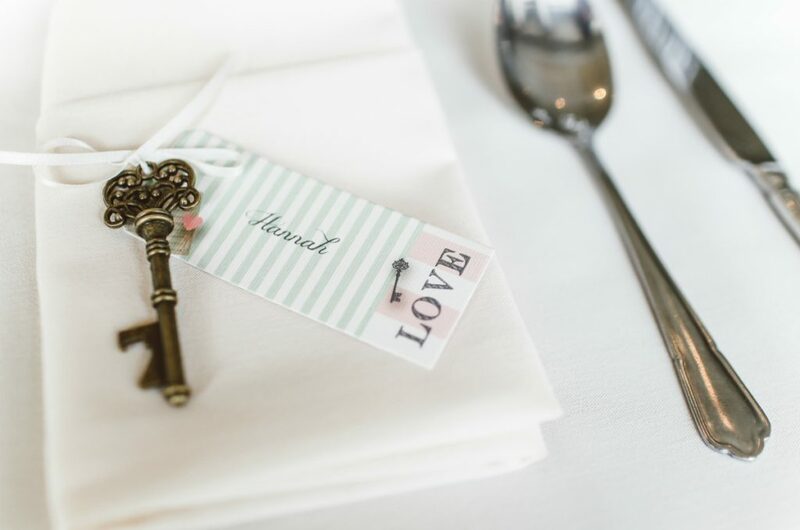 A creative place setting at the wedding can give a special touch to an entire event. Pink wine glasses in combination with marble patterned plates, placed over millennial pink paper placemats add a certain dose of elegance to the entire decor. Table runners, dinnerware, candles and candleholders featuring pink hues will make a wonderful contrast to any colour. Including pink flowers into the bride’s bouquet is another way to bring a bit of pink to your big day. Think about painting the chairs in dusty pink, while tables can feature runners in the spirit of millennial pink as well. Play with various hues of pink by having tablecloths, napkins, and even the centrepieces match millennial pink with complementing hues. Filling the venue with a mixture of white and pink balloons will look absolutely stunning too, so consider that idea for the big day. Pink flowers at the tables are simply a must, but if you’re not into pink flowers, you can add a touch of pink in a rather subtle way with millennial pink vases in different sizes. Fill them with white flowers and easily add a dose of sophistication to your wedding. Forget about the traditional white or ivory cake and bring in some colour to your sweet treats. Drape the cake in millennial pink to infuse your wedding with this sugary sweet shade. Whether you decide to have the entire cake in pink or just add a pop of colour to your white delight, the dessert will look adorable. Adorn all your edibles in pink and feature pink macaroons on every table for both a delicious and elegant dessert. White cupcakes with pink sprinkles, or pink cupcakes on white plates, either way you’ll add just enough pink to your wedding to make it look precious. Another good side of millennial pink is that if you are not a big fan of artificial colours, you can easily get millennial pink with natural ingredients. Serving pink beverages will be a perfect addition to your wedding. Strawberry lemonade bars, raspberry sangria, and Painted Lady cocktail are some of the best choices. 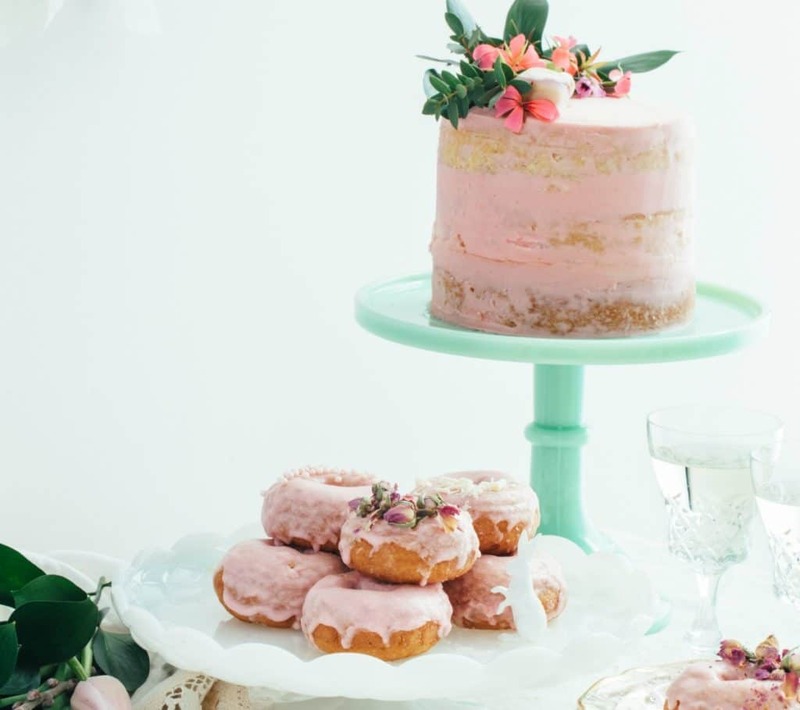 From pink attire, dusty pink embellishments and to decorative items and sweet desserts, you can easily make millennial pink a part of your nuptials with just a little bit of creativity. So, if you lack inspiration for making your happy day pink, feel free to use some of the aforementioned suggestions and have the prettiest blushing pink wedding.